For all of you budding RTBs out there, our Hanukkah gift for the day is the chord changes to the “Bloodbrothers” album, plus a couple extra. 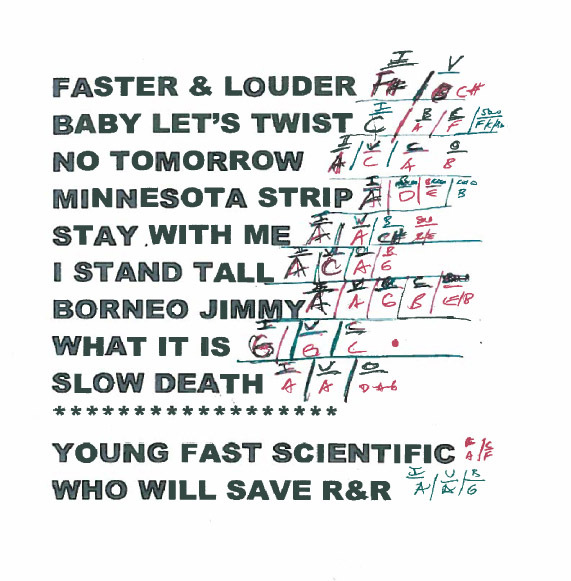 This was Fritz “The Boss” Erikson’s cheat sheet from the “Faster and Louder” 2009 tribute set. 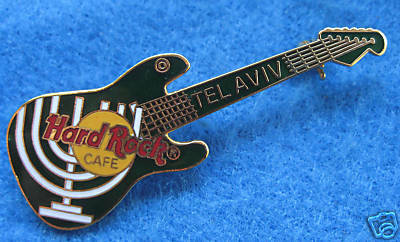 It’s about time for another gig, guys. Here’s Faster and Louder blazing their way through “Young, Fast, and Scientific.” Richie Parsons and Fritz have been doing this one since the Band 19 days, and it has never failed to smoke!